Aloe Vera, also known as Cape Aloe, is a succulent, short-stemmed plant with thick leaves that look like a Cactus plant. Aloe Vera has been used for hundreds of years for its medicinal benefits, and modern research is now verifying many of its healing properties. The secret of its magic lies in its high concentration of nutrients and vital substances that include water, vitamins (A, B, C, and E), more than 20 minerals, Fatty Acids, Salicylic Acid, Lignin, Saponins and Amino Acids. Studies have shown that Aloe Vera can effectively treat a wide range of ailments. When used externally, it is very effective at treating insect bites, acne, sunburns, rashes, scars, blemishes, sores, eczema, psoriasis and other skin infections. It can also be taken internally to treat blood pressure, internal tissue damage, high blood sugar levels, arthritis, ulcers, constipation, poor appetite, digestive disorders, irritable bowel syndrome, diarrhea, hemmorhoids, and colon disorders. Aloe Vera is also known to help with weight loss and to boost our immune system. Many people have found that taking aloe vera juice daily helps to maintain overall good health and provide a sense of well-being and energy. Add 1 tablespoon of seaweed (kelp powder) into the container. Add 1/2 tablespoon of honey (raw honey works best) into the container. Mix all the ingredients together, and let the mixture sit for 10 minutes. Wash your face with soap and water, and dry it with a towel. Now apply the Aloe Vera mask mixture over your face (be sure to avoid your eyes). Leave the mask on for 15 minutes, and then rinse it off with lukewarm water only (no soap). Use this mask 2 to 3 times per week as part of your regular skin care program to enjoy glowing, acne-free skin. Aloe Vera is known to act as an effective laxative when taken internally, resulting in bowel movements which help restore a healthy balance of good bacteria in the colon. Mix 2 tablespoons of pure aloe vera gel into a glass of apple juice or cranberry juice. Drink this once a day for 5 days, either in the morning or before going to bed. Aloe Vera is excellent for healing skin infections, cold sores, insect bites, rashes, eczema, cuts, burns and scars. 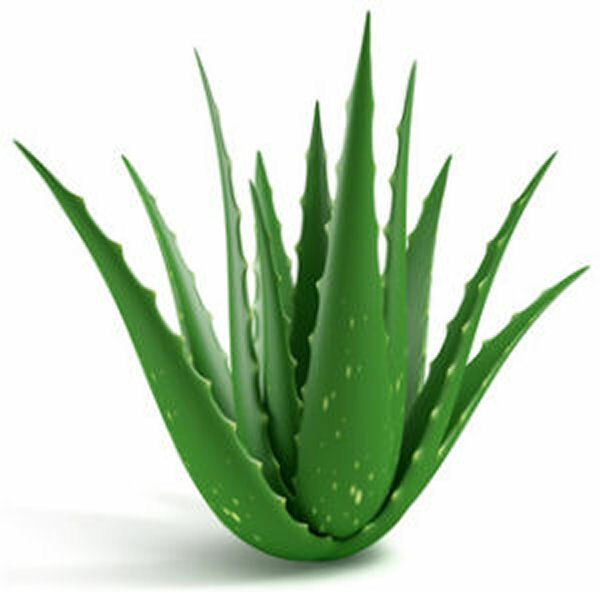 If you have an Aloe Vera plant, cut open a leaf and rub the moist insides directly onto the affected skin. This will act as an anti-septic bandage as well as an anti-bacterial, anti-fungal, anti-inflammatory ointment. The Aloe Vera should have a soft sensation when applied to the skin. Aloe Vera has been found to both reduce and stabilize the body mass index by stimulating the metabolic rate in our liver cells so that we burn more energy. Therefore, a suggested natural weight loss remedy is to drink 4 ounces of Aloe Vera juice daily and combine this with a 20-minute exercise routine 3 to 5 times per week. Note that some people are allergic to Aloe Vera. Therefore, if you feel a rash or experience any undesirable symptoms when using Aloe Vera, you should stop using it and consult your doctor. You should also consult your doctor before taking Aloe Vera if you currently have kidney or heart disease, or if you are allergic to garlic or onions. An Aloe Vera plant can be bought from many grocery stores and plant nurseries, and the concentrated juice can be extracted from the leaves. You can also purchase Aloe Vera in gel, juice, and concentrated form at many organic health food stores and online retailers. When buying the gel, look for hand-pressed gel instead of machine-pressed since machine-pressed gels include the yellow sap from the outer skin of the plant leaf (which is very irritating for the gastrointestinal tract when taken internally). I use Aloe Vera and the results are amazing! I have diabetes last 4 years and now I have 300. How much quantity of aloe vera should I use? Thanks.